You've heard all the gripes about wind turbines: they're ugly, they're expensive to build and maintain, they make weird noises, and they kill birds. Might there be another way to capture the power of the wind without relying on traditional windmill designs that have their roots in the ninth century? A team of Spanish has come up with an intriguing bladeless wind turbine design that captures the power of the wind not by spinning but by vibrating. Vortex Bladeless hopes to tap into of the tendency of wind to oscillate around fixed objects. Inspired by the famous 1940 Tacoma Narrows bridge collapse--you may remember the film from your high school physics class--the Vortex team latched onto the idea of building a vertical mast that would oscillate as vortices of wind wrap around it. (The technical term is "vortex shedding.") 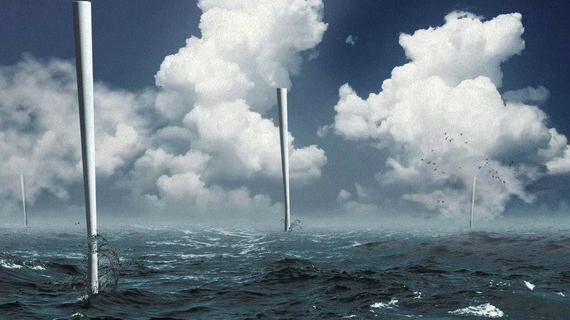 The mast, which has a cone-like shape, is made of lightweight fiberglass and carbon fiber. At the base, two rings of repelling magnets help to amplify the mast's movements. All that kinetic energy is converted into electricity by a linear alternator. The design, the company claims, has numerous advantages over traditional wind turbines. Without gears and other moving parts, maintenance costs should be 80 percent lower than those of a traditional turbine, and there will be no messy, eco-unfriendly lubricants to deal with. Manufacturing costs are calculated to be more than 50 percent lower than those of an equally powerful turbine. The masts should also be safe for birds, and they make very little noise. So when will we see Vortex Bladeless masts popping up across the country? In February, the company relocated from Spain to Boston to work with Harvard, SunEdison and IDEO, and to seek out venture capital on top of the $1 million it has collected so far from investors as well as the Spanish government. It even kicked off an Indiegogo crowdfunding promotion in June and quickly surpassed its $50,000 goal. You can learn more about it in this video. The first masts, which may be ready by the end of 2015, will be nine feet tall and generate just 100 watts, prototypes that may find use in locations in developing countries that have no easy access to electricity. After that, a 41-foot, 220-pound model that generates four kilowatts will be developed. Phase three will represent a leap of ambition: a 490-foot mast that can generate one megawatt. Can Vortex Bladeless really build one of those by 2018? All we can say is keep your eye on the horizon. 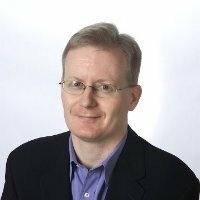 Don Willmott is a New York-based journalist who writes about technology, travel and the environment for a wide variety of publications and websites.